This blog chronicles a girl battling her addiction to color and standing out in the crowd through her makeup, nails and fashion. Here's two insanely awesome giveaways by two great bloggers, Makeup Monologue and painted Lady fingers! 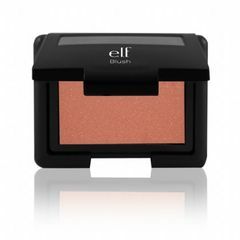 Makeup Monologue has a great blog and is giving away some awesome stuff by Urban Decay and elf! Enter here! Good luck (although [not so] secretly I'm hoping I win). painted Lady fingers is giving away the six shades in the Color Club Fractured collection! Enter by following the instructions on her post here! Stay Beautiful also has a great give away for having 500 followers! Look at all you can win! Enter by following directions on her post here. All of these bloggers mentioned above have fantastic blogs that I read regularly and thanks to them for sponsoring such incredible give aways! youre welcome! Thanks for such a great giveaway! Thanks for commenting! I do read every one and will reply to you. What a Social (Network) Butterfly!